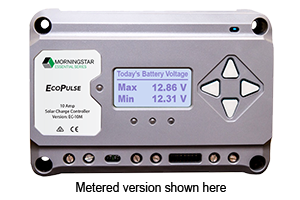 Morningstar’s SunSaver™ is the world’s leading small solar charge controller for professional and consumer applications. This device includes a combination of features and capabilities not found in other small PV controllers. It is rated for Hazardous Locations – Class 1, Division 2 Groups A-D, making it the preferred choice for Oil & Gas applications.